I recently attended the Blogger's Bloc Workshop, presented by Crystal Knight, of Curl Life Radio. 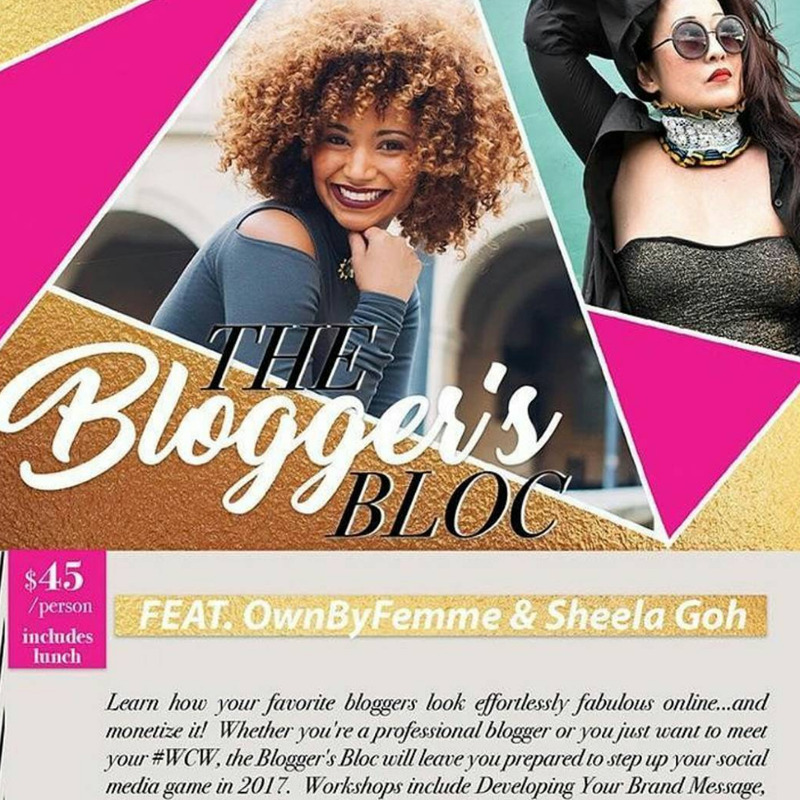 The workshop featured top bloggers, Rene Daniella, (@OwnbyFemme ) and Sheela Goh. I'm totally appreciative of the enlightenment I acquired at The Blogger's Bloc Workshop, as I gained insight on the essentials of monetizing my blog, insider tips on optimizing my brand message via social media, and ideas on further developing my brand through social media. Most importantly, I left feeling encouraged, and motivated by my blogging peers. Crystal Knight did an exceptional job executing the workshop, ensuring that each attendant was well-informed. Rene' Daniella, friendly, and forthcoming, instructed us on the ins and outs of garnering brand sponsorships via social media, pitching to brands, and more. #TheMoreYouKnow: As a blogger of 10 years, (time flies when you're having fun), I understand that my success depends on my willingness to learn and evolve. In addition to sharing critical information, Crystal Knight also gave attendees the opportunity to be featured on Curl Life Radio, her natural hair care podcast, with topics that range from the hair, to pop culture. I jumped at the chance, more than happy to dish on hot topics. Listen HERE. 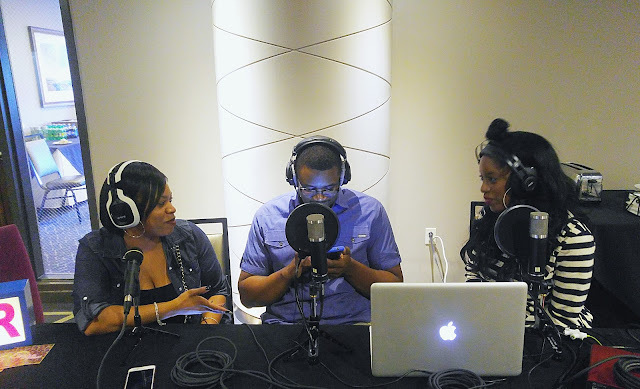 FashionCrazedFoodie dishes on hot topics with the Curl Life Radio crew. Leaving The Blogger's Bloc Workshop, elated, motivated and prepared!